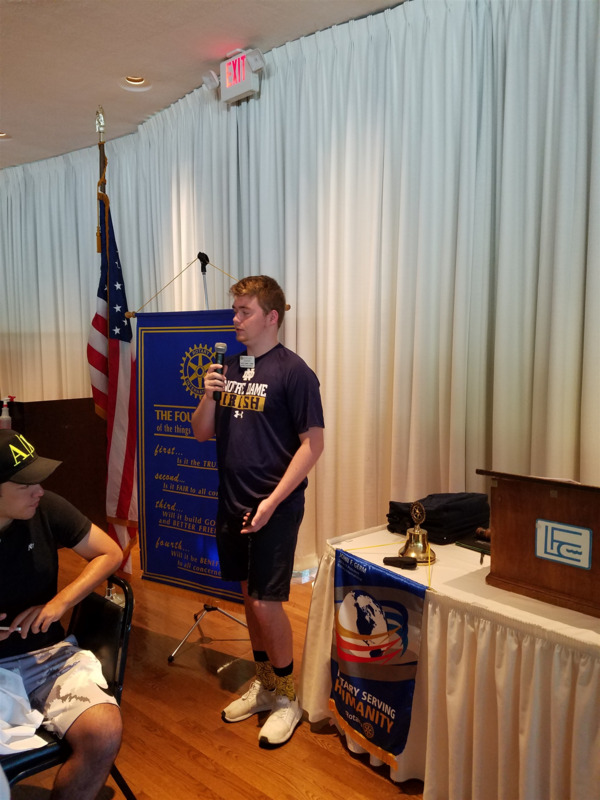 As the school year comes to a close, this years exchange student, Adrian Dinter, bids our club "Auf Weidersehen". Adrian reflected on his time in our community and at Lake Forest High School. Our club was certainly the benefactor of this arrangement as we always looked forward to seeing him at breakfasts and hearing his stories. Best of luck and thanks to Adrian and a special thank you to the host families and our own Carol Buss for her stewardship.